PokerStars is making a lot of changes to its online poker offerings in an effort to provide its global player database with a better and fairer online gaming experience. Apart from removing Seated Scripts, the online poker giant has also confirmed that it will look to speed up cash games by using shorter time banks. These changes will be applicable to both zoom games and ring games. One of the complaints that a lot of online poker players have is that it takes too long for a game to finish and this is mostly because some players waste too much time in playing. PokerStars has taken note of this and finally decided that it was time to make a change and speed things up in its cash games. PokerStars has decided to reduce regular cash game playing time by as much as 40 percent and players will have to play with a max time bank limit. This will be of significant impact to online poker players who have the habit of playing on multi-tables. The new rule will mean that they will either have to reduce the number of tables they play or speed up their decision making process in order to comply with the new rules. Under the existing regulations, players have 18 seconds to decide and play on a preflop when they are not facing a raise, this goes up to 25 seconds for their postflop actions and when confronted with a raise. The new regulations will see this time frame drop from 18 seconds to 10 seconds and from 25 seconds to 15 seconds – which is a significant reduction. The existing time bank that players have under existing regulations is 30 seconds to start and this can go up to 600 seconds when play continues for a long period of time. The new regulations put the preflop time to 30 seconds and the postflop time to 60 seconds. The starting bank is set at 15 seconds and 10 seconds is added to the time bank for every 10 hands played. These changes are expected to be rolled out from Feb 5. 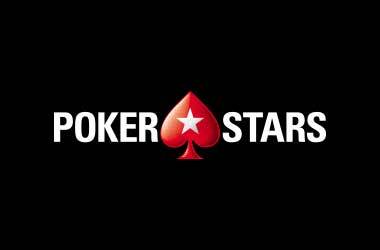 Severin Rasset, director of poker innovation and operation at PokerStars’ parent company – The Stars Group said that these changes will turn out to be beneficial to players and the future of poker.